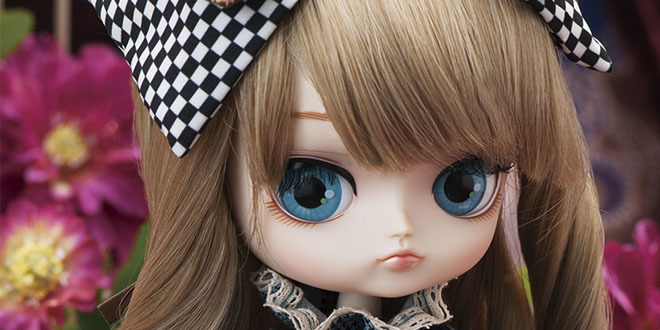 Find yourself becoming irritable every time Groove reveals a new Pullip doll and it's not Dal? If you answered yes to any of the above, then you are showing symptoms of Dal withdrawals! Luckily for you, Groove Inc is providing you with the antidote with their latest announcement of Dal ALICE in STEAMPUNK WORLD. 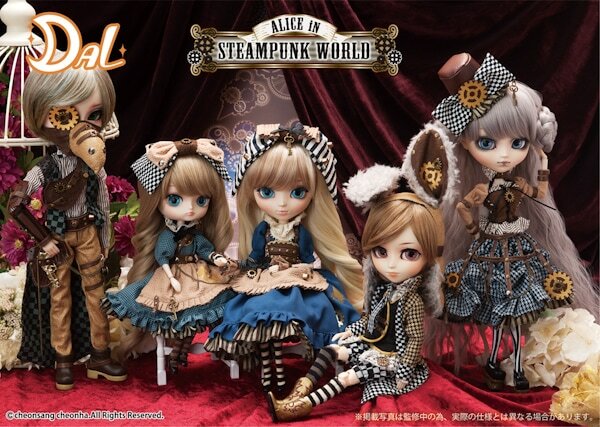 Collectors were first introduced to the ALICE in STEAMPUNK WORLD line up of dolls in May/June 2015 with Pullip Alice In Steampunk World & Pullip Mad Hatter. 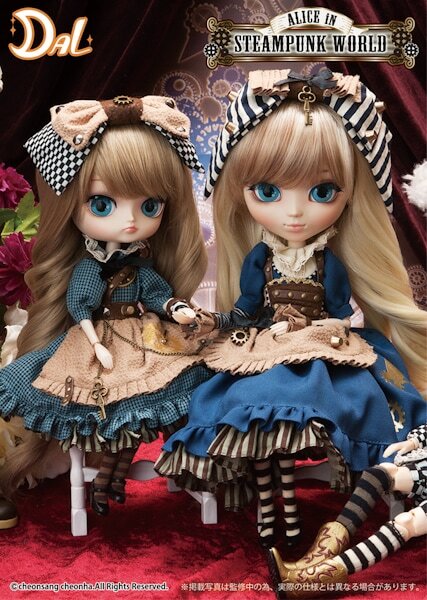 Readers of the Dolly Insider may remember Doll Show 43 Spring held on May 5, 2015, were we first saw Dal "the twin of Pullip Alice." It's refreshing to finally see a Dal who isn't portrayed as a Sailor Moon character. 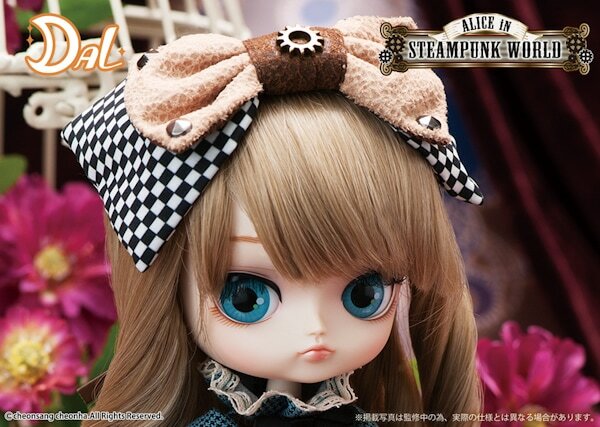 The last "original" Dal was Dal Tokidoki Venettina and she was released in June 2014 :o.
Dal ALICE in STEAMPUNK WORLD is scheduled for a February 2016 release date. She has a price tag of ¥18,000 about $153. 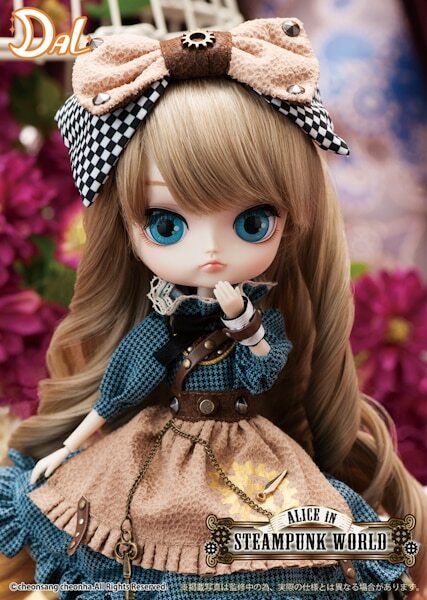 What are feelings towards this Dal the mini me version of Pullip Alice In Steampunk World? 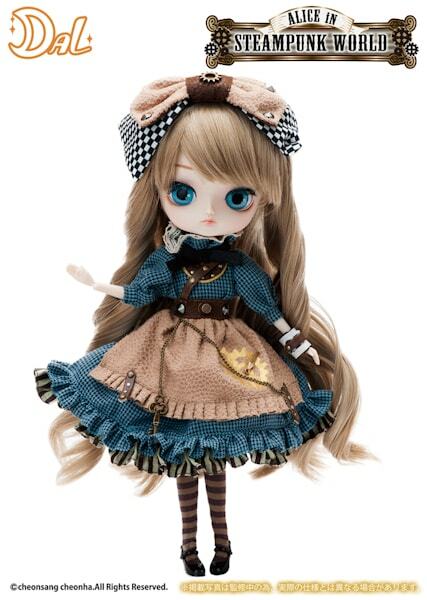 What is your favorite trait about Dal Alice? If you could change anything about this Dal what would it be? I have been breathlessly waiting on when this doll would be released after seeing those earlier photos. I haven’t as yet bought any Dals and I am carefully debating over my first. 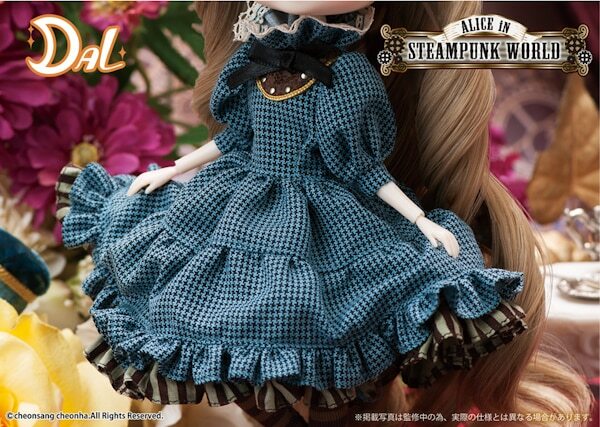 I have been waiting to see what this one would look like up close as I also like the other Alice one they released, I think it was the Classical Alice Dal. I love this Dal’s face and her outfit seems very similar to her bigger counterpart which is nice. Not sure on the curly hair. I have two Pullips with curly hair and it drives me insane. My Nanachan curls are so frizzy I am most likely going to change her hair at some point if I can find a similar colour and the same with the bigger Alice. 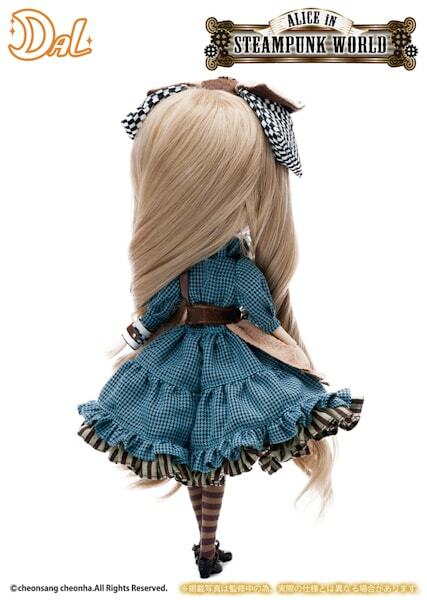 Thank goodness my Hatter Pullip has more manageable hair. She is pretty though and I could always change her hair later …I would really have to think a bit harder on this one. I want my first Dal to be perfect. It would be amazing if there was away to combat the frizzy hair that so often accompanies curly head girls. I keep having high hopes that Groove/AGA would improve on the quality of their wigs like they did with Yeolume but this has yet to happen. I hope 2016 is the year you find your perfect Dal!